As former Vice President Joe Biden mulls a 2020 presidential run, marijuana reform advocates are following closely to see if the long-running drug warrior is going to change his tune. But at a forum on the opioid epidemic on Thursday, that didn’t seem to be the case. When the mayor of Philadelphia asked the panel at the University of Pennsylvania event about whether cannabis can be used as an alternative to opioids, psychobiology professor Bertha Madras claimed that patients who consume marijuana experience the same levels of pain and don’t decrease their opioid use, and she also characterized legislative efforts to allow patients with opioid use disorder to access medical marijuana as “disrespectful”—a rant that Biden enthusiastically applauded. 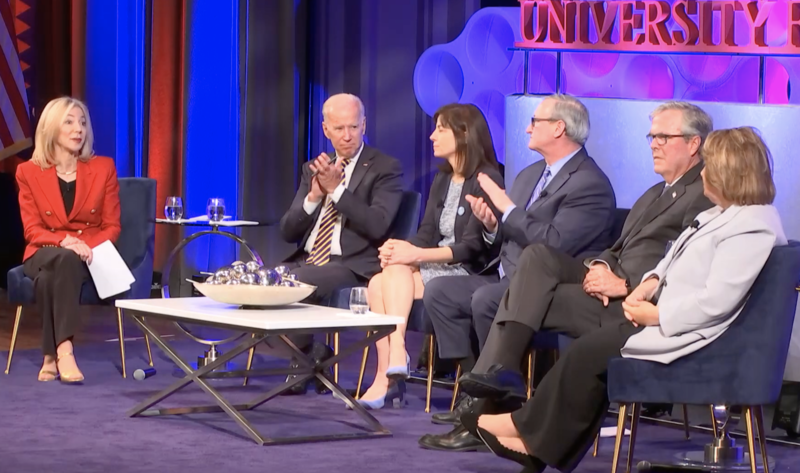 The tacit endorsement of the panelist’s anti-cannabis speech appears to signal that Biden—who as a senator championed the enactment of harsh, punitive drug laws—remains opposed, or at least skeptical about, changing marijuana policies. That will put him at odds with every other major Democratic candidate currently in the race—all of whom have backed legalization for both medical and adult use. Also at the forum, Biden commented on the addictiveness of opioid-based painkillers and said that “a little pain is not bad,” a remark that could be interpreted as insulting to pain patients, who have increasingly faced stigmatization and scrutiny as they’ve sought relief amidst the opioid crisis. It’s unclear how seriously Biden is weighing a 2020 run at this stage, with many speaking out about his history of touching women in ways that made them feel uncomfortable. But if he does take the plunge, drug policy will undoubtedly be a sticking point for many voters. The current field of Democratic candidates is already competing to go beyond simply supporting legalization and either musing broader decriminalization of other drugs or, in the case of Sen. Cory Booker (D-NJ), insisting that support for ending prohibition is contingent on the inclusion of social equity provisions to repair the damages of the war on drugs, which has been carried out in a racially disproportionate manner. Photo courtesy of YouTube/University of Pennsylvania.